For decades, Contactees and Channelers have claimed to be emissaries of extraterrestrial intelligences, usually promoting an ostensibly peaceful message. Some claim to be our gods, others to be a representative of a higher power. Often they seem to be trying to save us from ourselves. If these entities really exist, should we therefore take them at face value? Are they really who and what they claim to be? While one could write lengthy essays on the subject of the enigmatic Akhenaten, we are concerned here primarily with one aspect of this strange individual: His bizarre depictions. At first he was portrayed just like any other ruler. Regal, majestic, and very human. Then he “grew” an elongated skull, exaggerated, almost serpent-like facial features, and a small, pear-shaped body with spindly arms and bird-like legs. It is hard to believe he actually looked like this, so who was he trying to emulate? The Aten? The source quoted above manages to get a few things muddled. The Aten was not a sun disk, because the Aten declared, just like Yahweh, (they may be the same deity), that no graven images should be made of him. 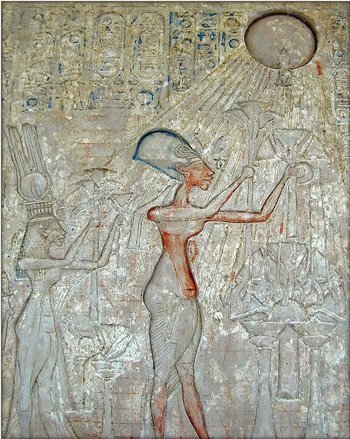 The sun disk with ankh-bearing rays is a symbolic depiction only. The name Akh-en-Aten means “living spirit of the Aten”, also translated “embodiment of Aten” or “Of use to Aten”. Could the strange pharaoh have been trying to show us the physical appearance of the Aten? Could he have been trying to express that he was literally possessed by the Aten? Something essentially humanoid, but with attributes of a serpent and a bird. 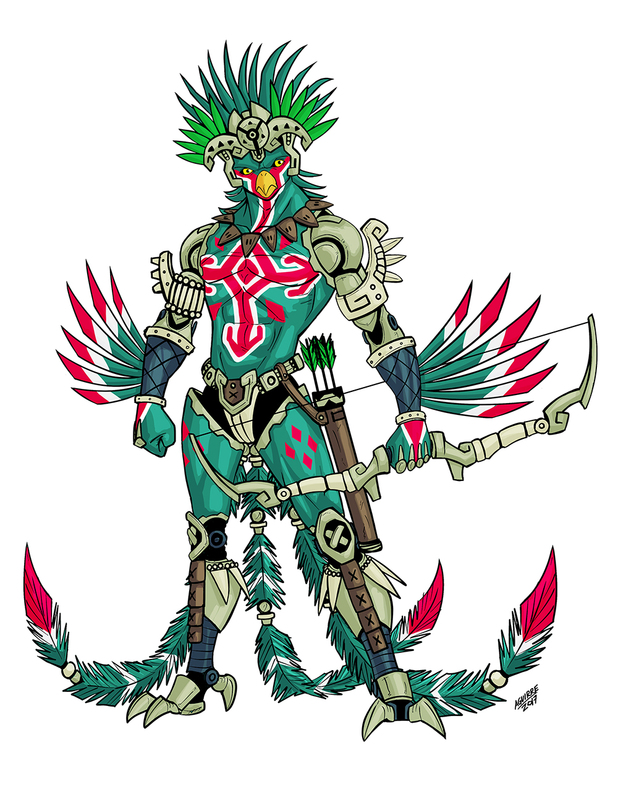 An anthropomorphic entity endowed with Avian and Reptilian attributes. This was who the priestly castes and Elite families were associating themselves with. One could produce examples ad-infinitum, but suffice to say that these feathered reptilians seem to have been associated with human affairs since the invention of writing, and surely part of oral histories since we developed language. The farther back in time one goes, the more “real” in the physical sense these deities appear to be. Later they appear mostly in dreams and visions. Right up to the present day when they are being channeled by contactees. This echoes the suggestion in Genesis that Adam once “walked in the garden” with the Elohim (“Offspring of El”) but after a certain walking, talking serpent (though apparently not feathered) interfered, the situation changed. 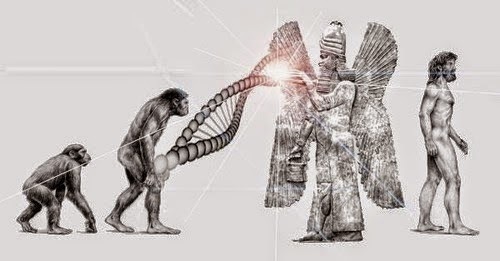 So among major cultures around the world, myths, legends and religious texts suggest remote recollections of a time when a superior race of non-human beings walked among us, interacted with us, and may even have played a major role in our development as a species. There is also the suggestion that they continue to influence us from afar. 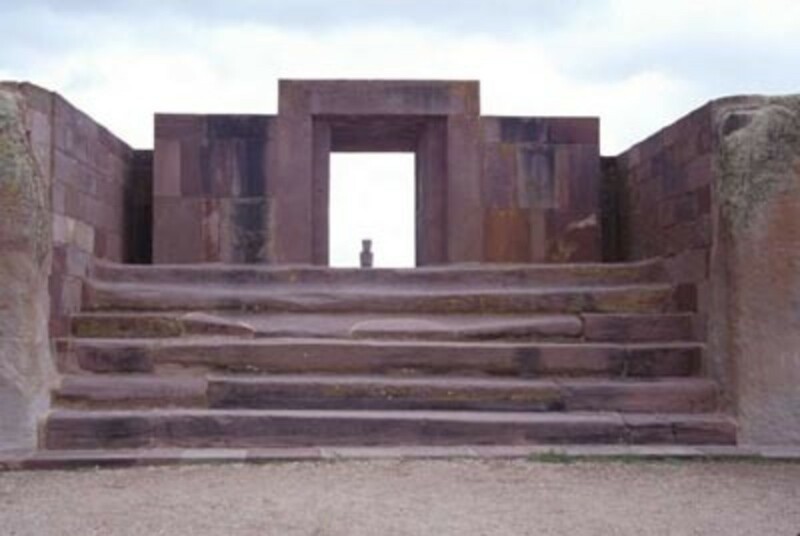 Many authors over the years, such as Von Daniken and Sitchen, have come to the seemingly obvious conclusion that the Earth was visited by extraterrestrial beings, who, as outlined in the first part of this blog may have experimented with us over millennia. They even point to descriptions, allegedly, of spacecraft and other advanced technologies. We are dealing with beings that are essentially anthropomorphic. “They” and “we” share remarkably similar physiology. OK, so maybe they created us “in their own image”. Same issue applies. They walk in Earth’s gravity, breathe Earth air, see in our light wavelengths and are comfortable at Earth temperatures. Therefore, logically, they come from Earth! Today, we are confronted with a variety of allegedly “alien” visitors: Greys, Nords, Draco/reptoids, and most tellingly, a species associated with a Contactee named Corey Goode, called “Blue Avians”.There are many others. All of them are subject to the same logical argument stated above. Either they don’t exist and are the result of a lack of imagination (and too much Hollywood!) or they are an integral part of terrestrial evolution. (With apologies to Creationists!). Even allowing for planets that are “Earthlike”, such qualities as the alleged genetic compatibility and similarity of cultural development (almost parallel in terms of universal times scales), argue against extraterrestrial origin. Human beings, Homo Sapiens-Sapiens, by conventional reckoning, (but see Cremo and Thompson for contrast) have been around for only a few tens of thousands of years. if we include early humans and hominids, we’re talking a mere 4 million years or so. Dinosaurs dominated the Earth for roughly 145 million years. To my thinking, it seems ridiculous that in all that time, an advanced civilization never arose. That saurians never developed complex language or toolmaking skills. In fact a rather good science fiction story, West Of Eden by Harry Harrison, proposed such a scenario. As did popular British TV series Doctor Who (The Silurians). And indeed scientists have speculated what an “evolved dinosaur” might look like. All based on the question, “what if the dinosaurs hadn’t become extinct?”. I say that in the 145 million or so years the dinosaurs had to evolve, this development ought to have actually happened. Look at all those “out of place artifacts” and remnants of lost civilisations that vex us. Perhaps the question shouldn’t be “who made them?”, but “what species?”. Now, this still leaves us with a problem. By what mainstream science tells us, there was a gap of millions of years between the extinction of the dinosaurs and the emergence of humanity. The Doctor Who “The Silurians” story creatively suggested that the saurians saw the extinction-event asteroid coming and put themselves into suspended animation in underground bunkers. But there is another way that an overlap could have occurred. The Dinosaur extinction story is at least partially contradictory. 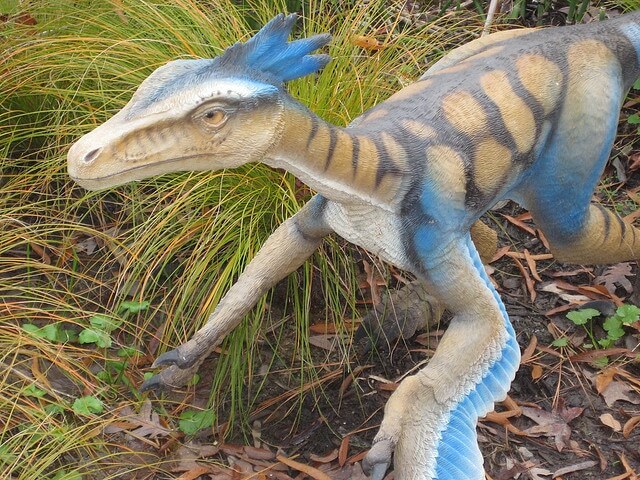 2: Dinosaurs evolved into birds. It has become increasingly known that many dinosaur species were feathered to some degree. Not just the Ornithiscian (bird hipped) kinds, but also the Sauriscian (Lizard hipped) kinds. These feathers were not always associated with flight. 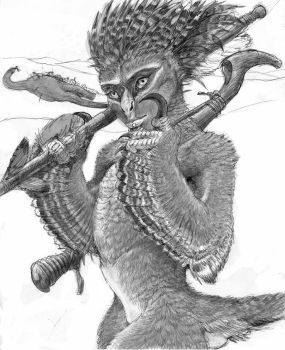 It would seem then, that “feathered serpents” did exist. But overlapping with the emergence of humanity? And intelligent, technologically advanced feathered serpents? We need to clarify what exactly a fossil represents. When animals die, their remains are quickly subjected to scavenging and decomposition. They don’t normally become fossils because there isn’t anything left to fossilize. It takes a special set of circumstances to create a fossil. A natural catastrophe. The kind of large scale catastrophe in which the majority of known dinosaurs became extinct would be unlikely to result in fossils of any technologically advanced dinosaurs because they would likely make efforts to escape. They would surely bury or cremate their dead, leaving no fossil evidence. Or perhaps they left this earthly realm altogether even before catastrophe struck? Perhaps they returned periodically? 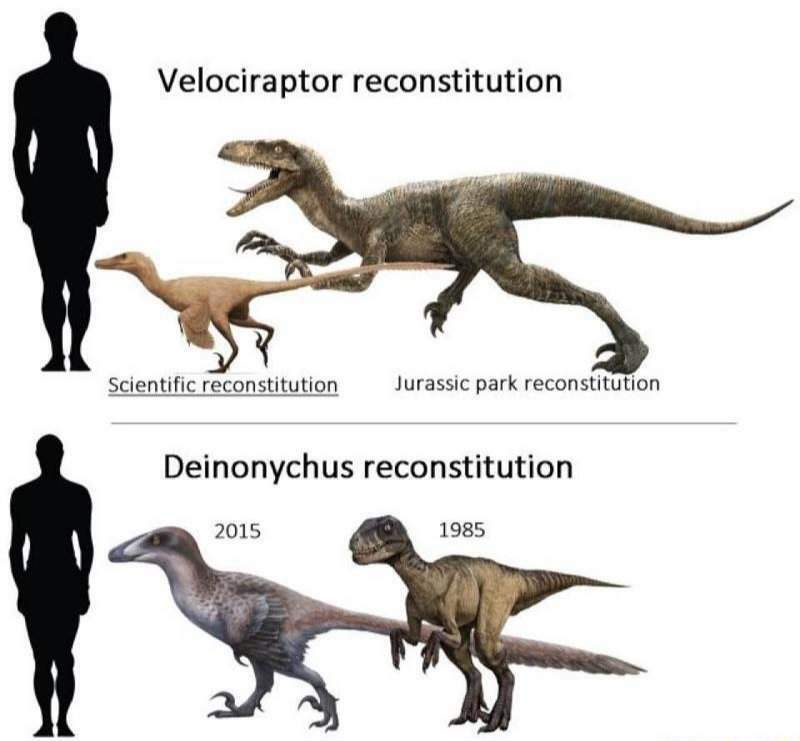 Now take a look some concepts of what highly evolved dinosaurs might look like. Just as there are various races of human sharing the earth now, so there may have been several races of “dino-people” sharing the Earth before us. They may, like we today, have fought each other over land sovereignty or resources, or even ethical issues such as genetic engineering! 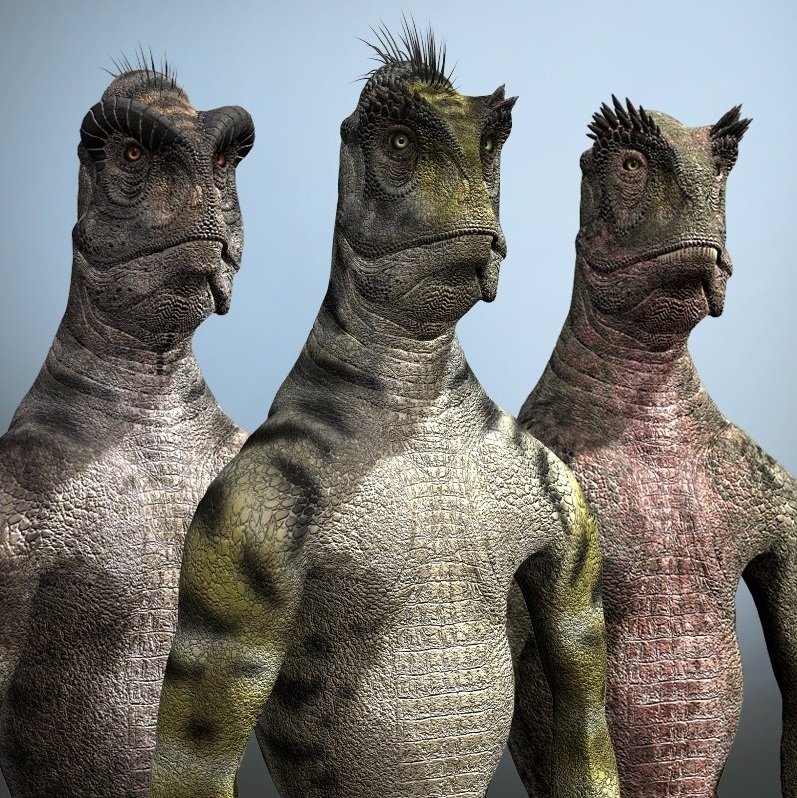 So, if these “aliens” actually exist and are various species or races of evolved dinosaurs, where are they now? Do they have an agenda…or separate factions each with their own conflicting agenda? How do politics and current world events fit into a scenario where Reptoids, Greys and Avians clandestinely interact with Elite “initiates”, contactees, and abductees? And why would they lie about their true origins? This is where Saturn fits into the picture.